Island School graduate Pindar Wong takes pride in being a “university drop-out” of sorts. Like many an enterprising internet pioneer, he wears it like a badge of honour. The year was 1993. He was a dissertation away from completing his Sir Edward Youde Memorial Fellowship-funded doctorate at the Hong Kong University of Science and Technology when he decided to end it all and go into business. In December that year, with the husband of his PhD supervisor, Pindar, 23, co-founded Supernet, the city’s first licensed commercial internet service provider (ISP), blazing a trail for Hong Kong into the internet age. This was a time, Pindar explains to ESF Alumni News, when most of the public “barely even knew how to pronounce the “@” symbol”. HK Supernet was sold to a private consortium about three years later, reaping a net gain of HK$35 million. The rest was history. Today, Pindar is doyen to the local information technology sector. And he is still deeply passionate about the cutting edge. 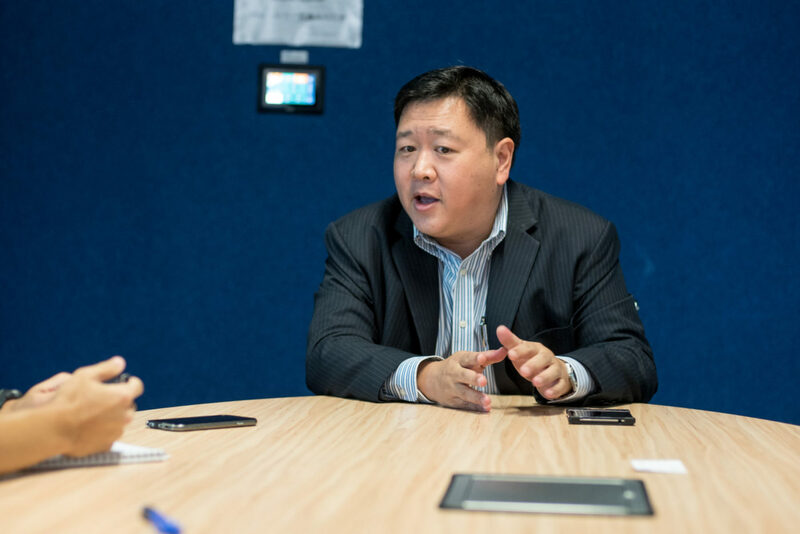 He is chairman of VeriFi (Hong Kong), a discrete internet financial infrastructure consultancy, and a huge proponent of scaling blockchain technology such as Bitcoin. He is convinced that this is “the next pivot of the internet age”. The road Pindar chose was a far cry from the orthodox Hong Kong “career path” being championed in those days. It was definitely not a choice that most Chinese parents, including his, supported. But orthodoxy was never believed too much in orthodoxy. In 1983, 13-year-old Pindar won a HK$2,000 cash prize in an English essay competition organised by tech company NCR Hong Kong and the University of East Asia, Macau (later renamed the University of Macau). Asked by a local newspaper what he wanted to do in the future, his answer was not to the standard lawyer, doctor or banker, but genetic engineering, which was a “relatively unexplored field”. A life of certainty and creature comforts is all fine and dandy. But at the end of the day the only certainty in life, Pindar says, is change. In a day and age in which technology is changing lives and disrupting every industry, Pindar argues it will be those who are willing and able to adapt to change that will survive. “Artificial intelligence (AI) will generate white-collar unemployment, not blue collar unemployment. If you’re going into accountancy, think again, because those old constants are going. Even in law, we can now have basic judgements using AI,” says Pindar, who served on the Hong Kong government’s Digital 21 Strategy Advisory Committee. This need not mean everyone loses jobs. The greatest opportunity will be in areas that AIs cannot compete in – Areas involving creativity and compassion, for example. And schools are the first place to train young people to adapt and respond to this creative destruction positively. Hong Kong’s education system can learn tremendously from ESF. Its students are much better prepared and trained to adapt to change and exploit it for new opportunities, claims Pindar. Pindar, himself a through-train product of the ESF system from primary to secondary, is a case in point. Teachers play a huge role in shaping students. He remembers vividly the passion of his teachers at Island School. He cites Carol Boag, the recently retired head of chemistry, as having a major impact on his learning. Pindar was subsequently appointed chairman of the School Council where he oversaw the early stages of the Island School’s redevelopment plans. Despite a temporary move from its current premises in the Mid-Levels to Sha Tin and Sha Tin Wai, he has unfettered confidence that the school will be able to keep its culture intact. Why? Because technology and culture mean geography no longer matters. “It’s not about the hardware, it’s about the software,” he says. 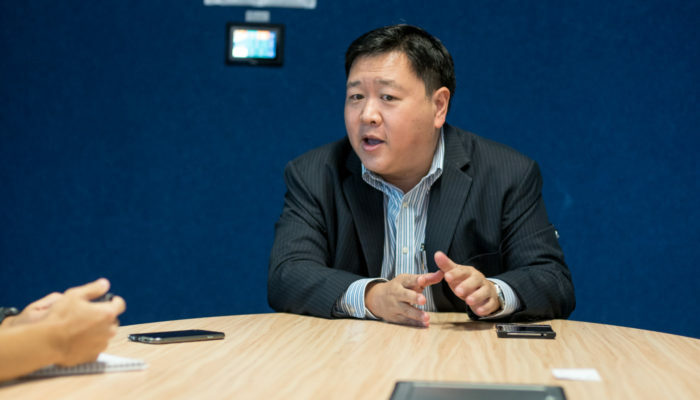 “The challenge now is how the ESF takes its ‘secret sauce’, or its ethos, which is its culture, openness, transparency and willingness to embrace constructive criticism, and scales it up,” he says.